Kevin James is to be a father for the fourth time! 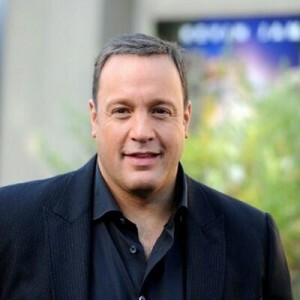 November 20, 2014 Kevin James is to be a father for the fourth time! The 49-year-old actor and his 40-year-old wife Steffiana de la Cruz are expecting another baby, which will be a sibling for their daughters Sienna-Marie, nine, and Shea, seven, and son Kannon, three, though they have not revealed when the new addition is due to be born. The 'Paul Blart: Mall Cop' actor - who married Steffiana in 2004 - previously admitted he panicked much more when his first child was being born than with his subsequent offspring. "The first child, I remember they just give it to you at the hospital, you're supposed to put her in the car seat and drive home. "I was 10-2 on the wheel in the right lane 30 miles an hour on the highway with the flashers going. "Second kid, I had the top down. I was steering with my knee." The 'King of Queens' actor has long battled with his weight and when his wife was pregnant with Kannon, he decided to try and shed the pounds for the sake of his family. He said at the time: "It got to a point where I hit my all-time high. I got on the scale and it read 290 pounds. Not good, not good at all. "I realized I'm only 10 pounds away from 300. [Then] I got to 302."